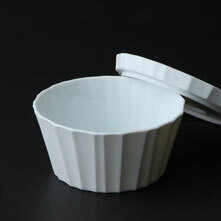 Sebastian Conran Kohyo Collaboration Products - Kaneko Kohyo Pottery Manufacturing Co.,Ltd. 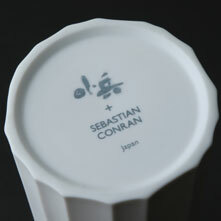 The SEBASTIAN CONRAN GIFU COLLECTION is a collaboration between world famous designer, Sebastian Conran and 10 Gifu based industries, including Hida woodcrafting, Mino washi paper manufacturers, Mino pottery, Seki knives and others to produce an imaginative array of high quality fashionable products. 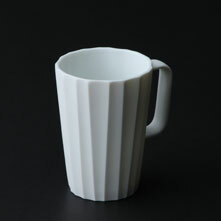 Among those Gifu based companies collaborating with the designer is Kaneko Kohyo Pottery Manufacturing Co.,Ltd. Sebastian ConranXKaneko Kohyo Pottery Manufacturing Co.,Ltd. 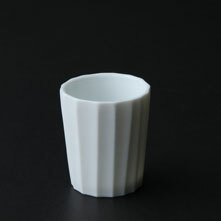 In collaboration with Sebastian Conran, Kaneko Kohyo Pottery Manufacturing Co.,Ltd. 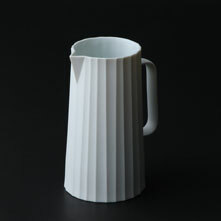 has produced a range of serving ware sets, consisting of a pitcher, carafe, serving bowl, tokkuri sake serving bottle and ochoko sake drinking cups. 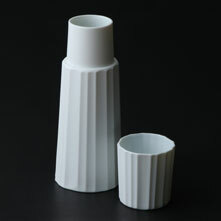 The range was designed in an attractive sculpted-like fashion, retaining the very essence of Japanese ceramics, a playful design and feel that has been admired around the world for centuries, yet created in sizes used in Europe and the US for both classical and modern cuisines and drinks.